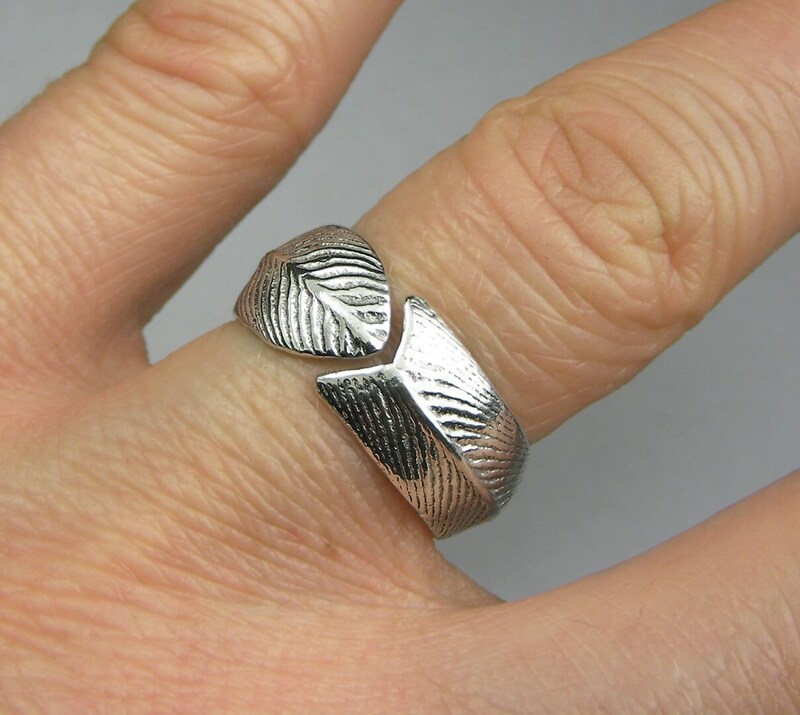 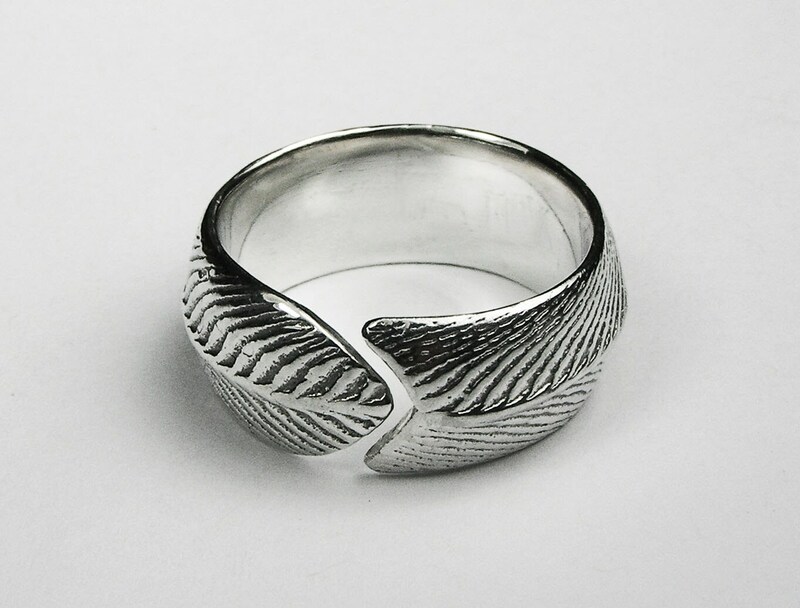 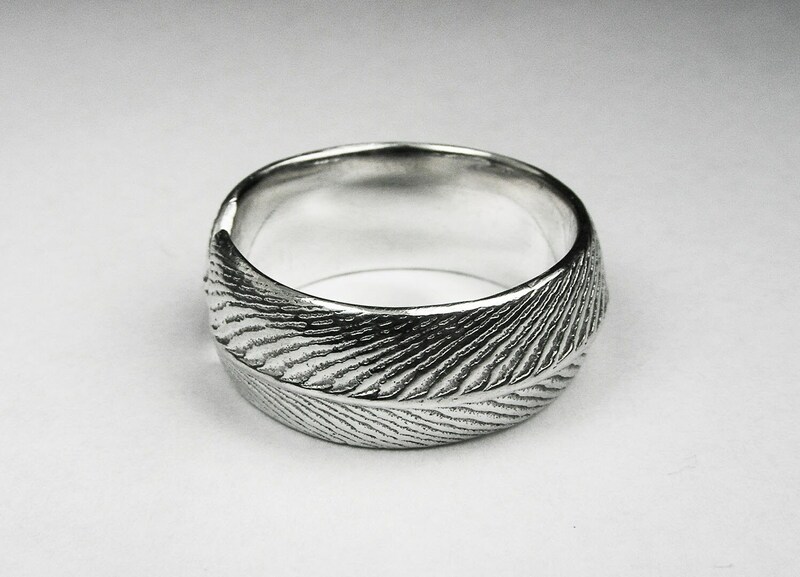 Discontinued Sterling Silver cuttlefish cast feather wrap ring. 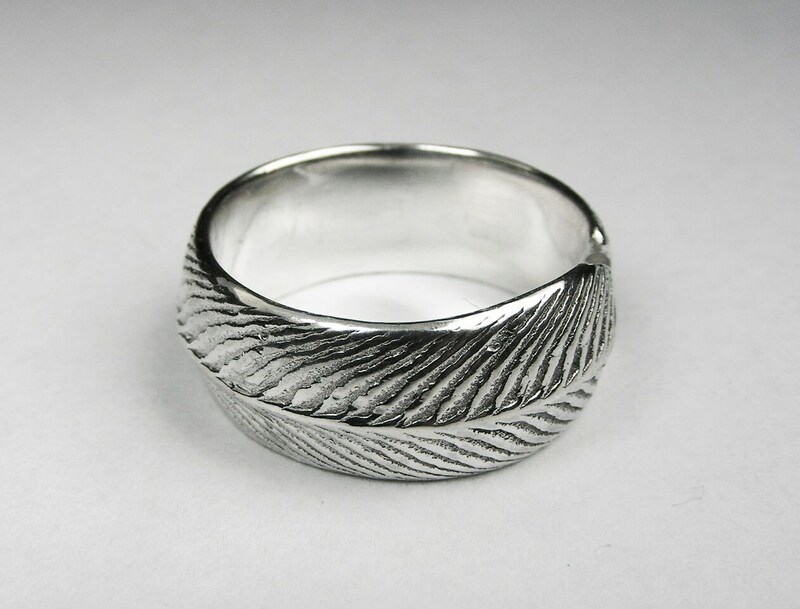 The band is approx 8mm wide. 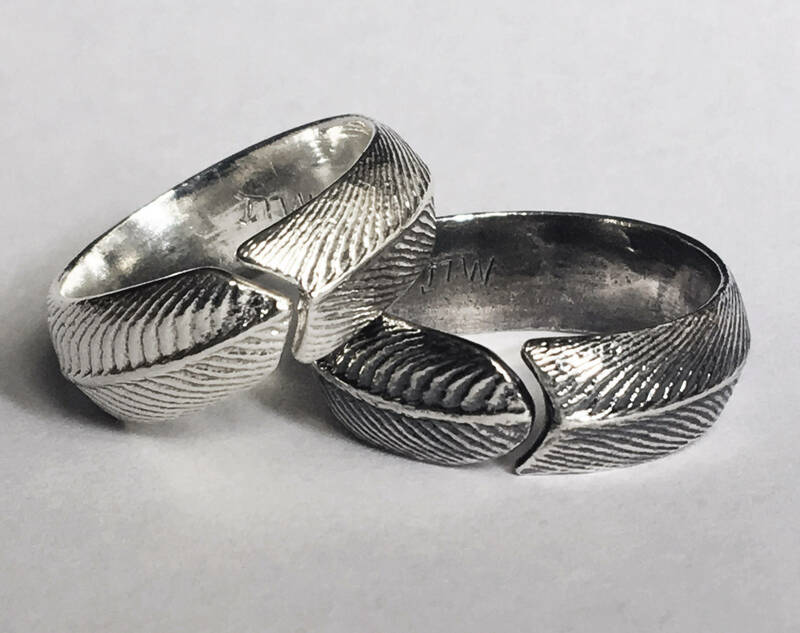 These are the last 3 rings in this style. 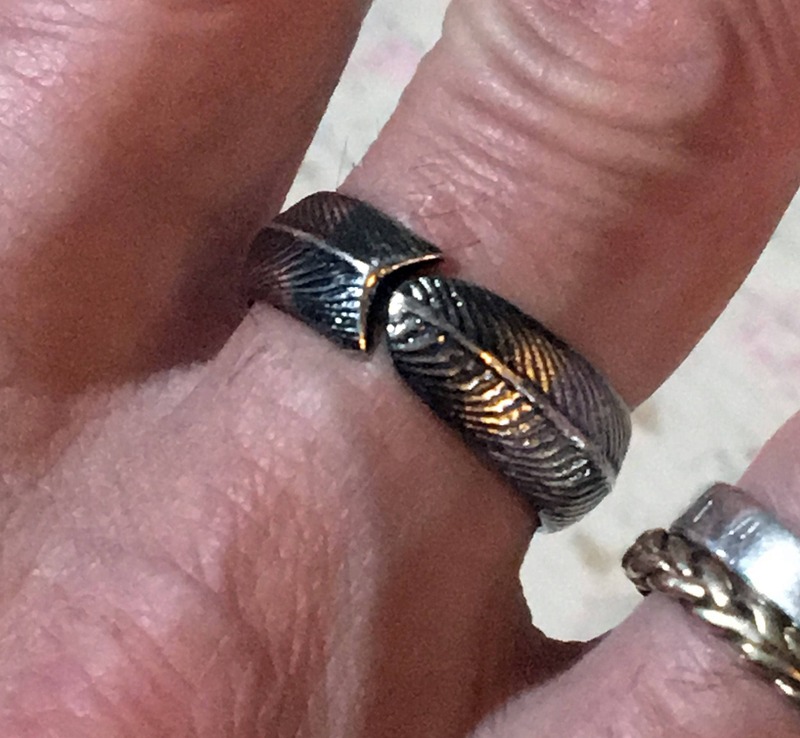 Available in US size 11, US size 9 or US size 6. 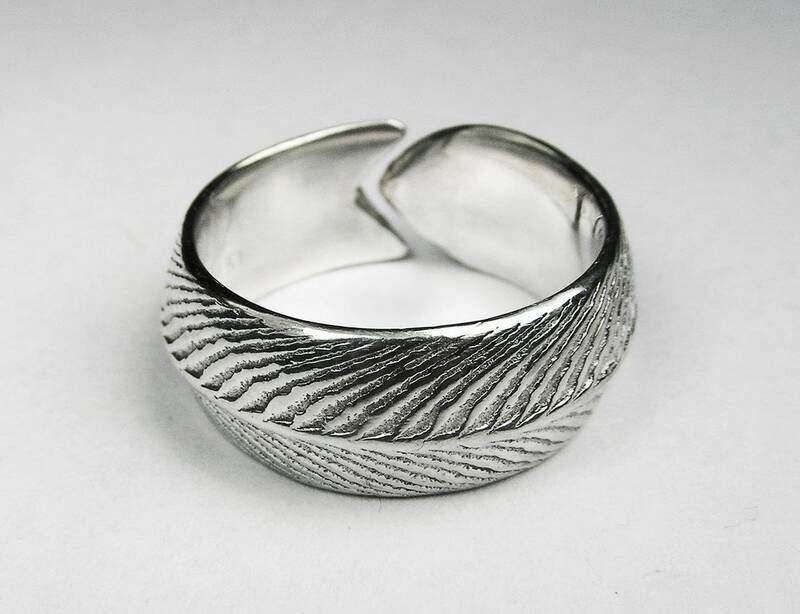 Each size is available for purchase via this listing.